Multicopter is a promising technology for various applications in a wide range of industrial fields because of its high performance at low cost. However, a freely flying multicopter has a risk of colliding with surrounding objects or humans, especially in case of failure in the control system. 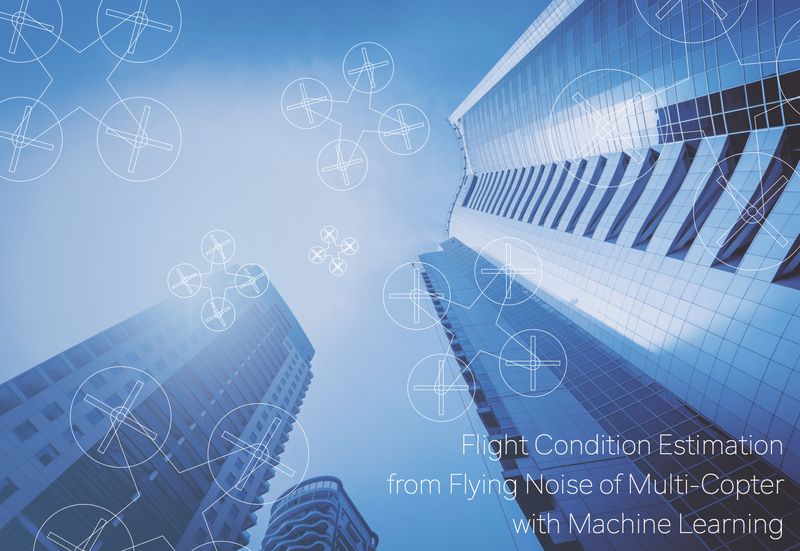 In this research, we focus on the wind noise from the rotors and propose a flight condition estimator technology using machine learning. This estimation logic is simple enough to be implemented on smartphones without any special infrastructure.